BlackBerry brings something fresh and different to the Android world. When I think about BlackBerry, I'm instantly reminded of how productive I am while using their devices. For me, it has always been a tool to get things done and while there are many people out there who enjoy that experience alone, there's a growing number of folks who expect more from their smartphones. They want productivity, they want security, they want privacy, and they want all the fun stuff as well. Now with Priv, they can have their cake and eat it too, if they wish. For it being their first run at building an Android-powered smartphone, BlackBerry has delivered a compelling hardware and software package that caters to both the Android and BlackBerry experience. While it's not going to be a device for everyone, everyone should consider it. Well, here we are. After many months of rumors and speculation, and an arguably somewhat quiet announcement, we have finally reached the point where it's time to take a look at the Priv by BlackBerry. Unlike every BlackBerry smartphone released before it, the Priv strays from the path of using BlackBerry's proprietary OS and instead comes loaded with Android, Lollipop 5.1.1 to be specific, and pairs it up with the best of BlackBerry security, privacy and productivity. Priv stands out in a world of Android slabs, thanks to its fantastic physical keyboard, focus on security and privacy that BlackBerry has long been known for. When the BlackBerry slider, or Venice as it was known early on, was presented briefly during Mobile World Congress 2015, the BlackBerry community lit up with excitement under the impression it was running BlackBerry 10. The rest of the world, though, looked, laughed a little and moved on. However, when it became known that the Priv would be released running Android, that interest level changed and those who dismissed the device were almost forced to take another look at it. Suddenly the device mattered because not only does it signal a change within BlackBerry and their operations, but the Priv stands out in a world of Android slabs, thanks to its fantastic physical keyboard and the focus on security and privacy that BlackBerry has long been known for. Plus, it brings empowering productivity features such as the BlackBerry Hub, Productivity Edge, Calendar peek, and more. BlackBerry didn't simply slap Android on their hardware and call it a day. No, the move to Android was a calculated one that took a lot of planning and ultimately had to be something special and something with enough differentiation to stand out. Will it pay off for BlackBerry in the long run? That remains to be seen. The potential is now there for BlackBerry to reach a new audience and expand their customer base. BlackBerry has maintained a pretty consistent design language throughout the years and when it comes to the Priv, even though it's running Android, there's nothing on the design front that would cause it to be mistaken for anything but BlackBerry hardware. Although I'm not sure if it was intentional or not, there's a feeling of familiarity with the Priv, like you've held this device before. For some, that's going to be a comfortable feeling as it helps create confidence in the materials used. Although I'm not sure if it was intentional or not, there's a feeling of familiarity with the Priv. On the backside of the Priv, you get that much-loved glass-weave that hasn't been used since the release of the BlackBerry Z30, and while I would have preferred a back more along the lines of the grippy rubber used on the BlackBerry Passport Silver Edition, there's nothing fundamentally wrong with the glass-weave. I do have one complaint about the back of the device though, and that's that there is some give there. What I mean by give is that there is a spot on the back that is a little squishy. You can push in on the glass-weave backing a tiny bit until you hit what is presumably the battery. Putting it to the test and handing the Priv around to friends to check out, no one else noticed it unless I went out of my way to mention it to them and even then, no one cared. I don't think it's something that is problematic, nor cause for any concern, but I would be totally remiss if I didn't mention it and others started noticing it. Also on the back you'll find that 18MP Schneider-Kreuznach certified camera along with a spot for the dual-LED dual-color flash. While I'll have more to say on the camera later on in the review, what I have to say about the camera now is that it looks pretty good back there. The design of the camera looks sharp and classy and for those of you concerned about the hump and the balance of the Priv on flat surfaces because of it, I have to say it's not bad. I say not bad because I really can't say it's entirely balanced either. If it's sitting on a flat surface and you're tapping on the lower portions of the display, it's going to be fine. If you're doing the same on the upper left or upper right, there's likely to be some wobble happening. Deal breaker? Not at all, especially given most of your interactions are on the lower portion of the device. Just be mindful of it. Up front, there's a 5.43-inch AMOLED Gorilla Glass 4 display that is nice and crisp and delivers a pixel density of 540 PPI. Also on the front of the device to the top left is where you will find the proximity and ambient light sensor and to the right of that, the multi-color pulse notification light as well as the front-facing 2MP camera. In between both is the earpiece speaker that makes use of the BlackBerry Natural Sound system that adapts the sound experience during a call based on how you are holding the Priv. This, combined with three high dynamic range microphones, aims to provide the best voice call quality possible. At the bottom, you'll spot the user-facing speaker grill that has laser-drilled holes to offer great sound output, and they serve the device well. The speaker output is nice and loud, crisp for music and clear for speakerphone calls. The keyboard itself feels as though it's reaching back to the Torch series of devices and giving a wink and a nod in recognition. It's not until you slide the Priv open using its buttery smooth sliding mechanism with just enough clack to know you've opened it, do you see that touch-sensitive physical keyboard that offers a great typing experience, fine cursor control, and excellent text selection. The keyboard itself feels as though it's reaching back to the Torch series of devices and giving a wink and a nod in recognition. It's pretty much the same keyboard found here. The angled and sculpted keys are everything we've come to expect from a BlackBerry keyboard including the backlight that turns itself on as you slide open the device. While it's certainly not as roomy as say the BlackBerry Passport keyboard, there's no mistaking the Priv keyboard for anything but a BlackBerry keyboard and that's just how it should be. Unlike some other BlackBerry smartphones, the Priv switches things up when you get to the top of the device. Normally, that's where the power button and headphone jack would be found on BlackBerry hardware. This time around that's where you will find your nanoSIM slot that for some reason looks like it could fit two SIMs in it, despite the fact there's only room for one, plus it's also where you will find your expandable microSD card slot. In both cases, you'll need the SIM tool that's provided in the box to gain access. It's not overly convenient, but it's not overly inconvenient either unless you swap SIMs or SD cards on a regular basis. Keep the provided SIM tool on your key chain, so you always have it when you need it, and you'll be set. On the left-hand side of the Priv is where you will find your power button while on the right-hand side is where you will find your volume up and volume down rockers. As one might expect, between those two you will find your mute button. Basic items but, again, the familiarity of BlackBerry design is highlighted here as the buttons are pretty much the same style as those used across all recent BlackBerry smartphones, and that's fine. As I mentioned earlier, the headphone jack on the Priv has moved from what was seemingly BlackBerry's standard position. On the Priv, the headphone jack is at the bottom of the device, and that is also where you will find the microUSB charging port. Yes, microUSB. While I hear some asking right now why BlackBerry didn't go with USB Type-C, and I don't have an answer for that. Personally speaking, I'm OK with the Priv still using microUSB. It's solid, nice to hold in the hands, and everything about the design seems to have been well thought out. Overall, the Priv has a fantastic feel to it. It's solid, nice to hold in the hands, and everything about the design seems to have been well thought out. In fact, I would say it's one of the more well thought out devices coming from BlackBerry simply because of the fact it's a slider. It being a slider instantly puts the vision of a thick and bulky device into the minds of many, and that's simply not the case here. The design of the Priv helps keep the device thin and lightweight and that's a very good thing. To put it in perspective, the Priv is lighter than any version of the BlackBerry Passport coming in at only 192g and only .1mm thicker than the BlackBerry Passport Silver Edition, which comes in at 9.3mm making the Priv only 9.4mm thick. That's a pretty awesome design feat there when you consider the Priv is packing that full QWERTY physical keyboard and a 3410mAh battery. The design team that worked on the Priv deserve their kudos here. As I'm sure many of you reading this right now already know, BlackBerry has never really been big on specs in their devices, and it wasn't until the BlackBerry Passport arrived that we could say we had a BlackBerry that was well spec'd out. It seems as though BlackBerry is looking to start a tradition by keeping that going with the Priv. Granted, it's likely not every single spec you want, but it's better than anything released before it by BlackBerry, and it's certainly no slouch when stacked up against other devices in the same category. In the end, the Priv steals the spot as the best-spec'd device to-date by BlackBerry from the BlackBerry Passport without a doubt. One note of clarification, because I know it was a topic of debate, is the wireless charging available on Priv. The information we confirmed with BlackBerry, several times, is that all Shop BlackBerry and U.S. carrier released Priv's will come with wireless charging. Canadian carrier released versions, however, will not have wireless charging. Throughout the various leaks, hands-on and BlackBerry promotional material, most folks by now should have a good idea of what the software looks like on the Priv but in case you've ignored all Priv news until you could read some reviews, we're looking at a pretty stock Android experience here. Make no mistake about it, that was intentional on the part of BlackBerry so as to make Android users feel at home. Once you start moving through the software, it's pretty easy to spot where they've added some of their own BlackBerry touches. As a base, BlackBerry started with Android 5.1.1 Lollipop and began building around that. Once you make it through the set-up process, which has a few BlackBerry specific items as well, one of the first things you're going to notice is the home screen and icons that all look like stock Android. It's not until you hit the launcher that you start to see where BlackBerry began their work. BlackBerry created the aptly named BlackBerry Launcher specifically for the Priv. Opening it up will reveal your usual apps tab but also two other tabs, widgets and shortcuts, as well a search box and a settings option that offers quick access to some Android and BlackBerry specific settings. You can set your wallpaper or change your icons easily here, plus you can select what happens when you start typing on the home screen, assign or change keyboard shortcuts or quick actions, of which there are many, and you can enable something called pop-up widgets, which is an interesting take on Android widgets for the Priv. For those unaware, on Android you can add widgets to your home screen. Widgets are a great way to get information quickly from an app or take action without actually jumping right into the app itself. Say for example you add a music app widget to the home screen. Rather than opening the app to skip to the next song, you can do that right from the widget itself and carry on. The only problem is, widgets tend to take up a lot of space on your home screen. Pop-up widgets on the Priv allow you to still make use of those widgets offered by apps, but instead of adding them to your home screen, you simply swipe up or down on the icon and the info is presented to you and hides away again after you've used it. If the app provides multiple widgets, you are presented with a chooser to pick which widget to use, and it will remain set on that unless you wish to change it. In some ways, you can relate it to the peek feature on BlackBerry 10 because it offers you quick access to information or the ability to begin taking action at pretty much the touch of an icon. I love how it works, and it's a nice enhancement to Android. Apps that have pop-up widgets enabled are noted by having three horizontal dots under the app icon. Next on the list that will be of great concern to many folks and a notable change from stock Android is the notification tray. While it starts off looking like the standard Android notification system, BlackBerry has added some changes here which become apparent when you start receiving notifications on the Priv. First up, the BlackBerry splat starts appearing as notifications come in, and you'll quickly realize the splat extends to the desktop as well, just as it does on BlackBerry smartphones. While I totally love seeing the splat and believe no BlackBerry would be complete without it or the red flashing LED, there are times on the Priv when the splat notification seems a little bit redundant. For example, say an app is in a folder and receives a notification. You're going to get that notification within the notification tray itself, but you're also going to get it on the folder. The good thing is, clearing the notification in either the notification tray or within the app clears it from everywhere, but it's the sort of thing that some folks will simply find bothersome because I know I do. Sticking in line with the notification tray, do you love the two finger slide down function to access quick settings on BlackBerry 10? Me too, and you don't have to say goodbye to it if you move to a Priv. Accessing the quick settings such as volume, Bluetooth, WiFi, Airplane Mode and more remains a two-finger swipe down from the top of any screen while hitting the gear icon to the left will take you to a much larger device settings menu where you can access the whole bevy of Android and BlackBerry settings such as advanced interactions, swipe shortcuts, and more. So those are some of the immediate things you'll notice when setting up the Priv, but I'm guessing you're wondering more about the BlackBerry specific features that were brought to Android such as the BlackBerry Hub, Device Search, the BlackBerry Contacts and Calendar app. I suppose you also want to know what exactly BlackBerry has done with the dual-curved edge display since it was a highlight of the Priv since its initial announcement. No problem, I got you covered. Let's just jump right into that. Let's just get it out of the way, right from the start. If you're expecting the Hub to work EXACTLY as it does on BlackBerry 10, you're setting yourself up for disappointment. With that out of the way, it's fairly easy to say the Hub on Android is a pretty great experience, and it's one that continues to be improved upon. Since starting to write this review, the Hub has been updated twice with several new feature additions and fixes to improve the overall experience. As expected, the Hub remains a means of bringing communications into one place so you can view and respond to messages from one location. Out of the box, the Hub supports Email, Twitter, Facebook, Text Messages, Call Logs, LinkedIn and of course BBM. To some, moving to a Priv means you're going to give up the ability to access some apps from the Hub, but that was a given as some of the apps that utilize the Hub on BlackBerry 10 are simply not available on Android anyway. One of the best things about the Hub on BlackBerry 10 is the ability to triage your email quickly, and while the process is slightly different on the Priv, it's no less of an experience. One of the best things about the Hub on BlackBerry 10 is the ability to triage your email quickly, and while the process is slightly different on the Priv, it's no less of an experience. Depending on how you feel about it all, one might even say it's a better experience. Customizable left and right swipe gestures allow you to delete, snooze, flag, file, mute and mark read or unread messages while custom views allow you to personalize what you see in the Hub based on specific criteria whether it be unread messages, flagged messages, important messages or only those with attachments. It's entirely up to you. Other Hub settings carried over from BlackBerry 10 include the ability to define account colors, customize quick responses, conversation view, the option to show sent and filed emails, and of course, the option to delete on Hub only or Hub and server plus the option to have it prompt you each time for a choice. Additionally, you can still download images automatically and set up custom alerts for different contacts and messages based on user defined rules. Last but not least, BlackBerry also brought over the calendar peek option that allows you to drag down all your calendar appointments from the top of the Hub for quick viewing or even for adding to your calendar. As I noted, the Hub experience on the Priv is not exactly the same as it is on BlackBerry 10 but it's pretty darn close given that BlackBerry doesn't have the luxury of controlling the entire Android OS like they did BlackBerry 10. While there are certain things that people will feel are compromises, there are also some benefits and gains here that even out the balance. Another powerful and useful feature carried over from BlackBerry 10 to the Priv is the device search that also includes instant actions. As it is well described on its new home on the Google Play Store, BlackBerry Device Search makes finding information on your device quick and simple. You can find what you need by searching your Contacts, Calendar, BlackBerry Hub email, documents, media files, and more. The BlackBerry Device Search app also offers a remote search option if the info you are looking for is not found on your device. Given that it's built right into the BlackBerry launcher, it's safe to say BlackBerry expects a lot of people to use Device Search, as they should. Although Android itself comes loaded up with some pretty great contact tools, BlackBerry wanted to offer the full package, and that includes their own contacts application. With features such as remote search, recent contacts management that allows for blocking recent contacts, plus smart filters and contact groups, the contacts app on Priv will feel all too familiar to BlackBerry 10 users. That said, I'd argue that contact management through this app is even better than what is available on BlackBerry 10 as it just seems more intuitive and better laid out. To be brutally honest, this contacts app helps me quickly fix a lot of the errors the BlackBerry 10 contacts app created. I might finally be able to have a bit more organization in my contacts list now. I'll be forever chasing having icons for everyone, though. Much like the contacts app, BlackBerry has also included their own calendar app and have thus dubbed it 'the best out-of-box calendar experience on Android' and you know what? They're probably right. With the BlackBerry Calendar, you can view and respond to your meeting invitations directly from the BlackBerry Hub. BlackBerry has also included the Join Now feature wherein you can instantly dial into your meetings directly from your event reminders. On top of that, BlackBerry is also making use of Google Now in the calendar app allowing you to use voice commands to add items directly. It's a nice mix of BlackBerry and Android working together. When the Priv was announced as having a dual-curved edge display, the key question was whether or not the edge would be put to use or would it just be a flashy item on the specs and features list. As it turns out, BlackBerry did find some incredibly great uses for it if you're into productivity, hence it being called the Productivity Tab. Along the screen's curved edge, the Productivity Tab provides glanceable views of the most pertinent info from Hub, Calendar, Tasks, and Contacts. One tap on any of the four icons present you with a quick look at everything that is happening while tapping on an item within the list will open the associated application and message into view. While the apps within the Productivity Tab can't be changed, it does allow for some customization to be made. For example, you can move it to the left or right side of the device which is nice considering we're not all left or right handed. Plus, you can also adjust the transparency of the window that pops out to give you the best view of it all. Finally, perhaps you don't want to use the Productivity Tab at all. That's cool too. Like pretty much all the BlackBerry specific software loaded on the Priv you don't have to use it. You can optionally disable it within the settings if you do so wish. Fans of Password Keeper on BlackBerry 10 won't have to worry about no longer having access when moving to the Priv. BlackBerry transferred the app to Android and has made it all rather easy to import your current database. For the uninitiated, the BlackBerry Password Keeper application allows you to keep all of your passwords, login information, and important records safe and secure. Your information is encrypted using AES-256 and protected by a single password of your choice. When it comes to quotes from BlackBerry CEO John Chen, one of the most important ones came during an interview with CNBC on June 23, 2015. By that time the rumors of BlackBerry producing an Android device were pretty thick and the media took every possible chance to ask John Chen about it. During that CNBC interview, Chen stated 'We only build secure phones, and BlackBerry is the most secure phone so if I can find a way to secure the Android phone, I will also build that.' which was pretty much an early heads-up to many that an Android-powered smartphone from BlackBerry was on its way. With the knowledge of a secure Android device coming from BlackBerry, all that remained were questions about how BlackBerry would secure Android. With the Priv now shipping out to customers, we're learning more about just how BlackBerry did that, and as expected, they've taken as close as possible to a 'from the ground up' approach with Android. BlackBerry has performed extensive work under the hood to augment Android's privacy and security capabilities including bringing in BlackBerry's Hardware Root of Trust to Priv, a unique manufacturing process that injects cryptographic keys into the device hardware, providing a secure foundation for the entire platform. From there, they added verified boot and secure bootchain, which uses the embedded keys to verify every layer of the device from hardware to OS to applications in order to make sure they haven't been tampered with. The next part BlackBerry won't divulge too much information on, but they claim they added a hardened Linux kernel with numerous patches and configuration changes to improve security while also ensuring out-of-the-box the Priv is FIPS 140-2 compliant with full disk encryption turned on by default. BlackBerry has also committed to monthly Android security updates wherein BlackBerry will push updates to Priv devices purchased through ShopBlackBerry as well as to Priv resellers such as carriers that have agreed to participate in the regular monthly update program and will rapidly approve the monthly updates for over-the-air installation. The wording here is important because if you purchase your Priv from a carrier, and they're not a participant of the monthly update program, there's a chance you might be waiting for those updates. On the other hand, Shop BlackBerry purchased devices are ensured to get the updates as soon as possible. In the case of critical flaws, depending on the severity of the problem, complexity of the fix, and timing relative to the monthly update cycle, BlackBerry will opt to perform a hotfix, where the code to address only the specific critical problem is pushed out to customers. So what else? Well, BlackBerry has also introduced their own exclusive DTEK by BlackBerry warning system app. DTEK by BlackBerry assigns an overall security rating to your device along with a rating for each of the security features that it monitors. If a security feature receives a poor or good rating, DTEK by BlackBerry recommends how you can improve your security settings to achieve a better rating. You can improve the overall security rating for your device by adjusting the settings of individual security features on your device. The biggest portion of DTEK though honestly feels a bit premature. Almost as if it was built to run on Marshmallow, which BlackBerry has committed to releasing by the way, but Marshmallow wasn't ready for the Priv and BlackBerry included DTEK anyway. The portion I'm referring to is the notification system that lets you monitor application access to permissions on your device such as microphone, camera, location and personal information. When an app accesses any of those things you optionally get a notification of the access. If you wish to dig into it further, you can see specific details of the use such as how many times, where, and when the app accessed those permissions. The system itself looks and works great, but the problem with it right now is that aside from providing you with the information, there's not a whole lot of action you can take against the apps aside from simply uninstalling them or choosing not to use them. BlackBerry couldn't magically build the fine grain permissions into Lollipop as I'm entirely sure they would have loved to but in Android Marshmallow it's a standard feature. I'm not saying DTEK is useless by any means; it's great for finding intrusive apps and helps pick out some really bad ones. For example, I know with a quick glance that Facebook has tapped into my location 455 times in the last seven days but there's no way I have even opened the app 455 times in that timeframe, and that's just one minor example. I'm just saying it's a work in progress that will grow as BlackBerry works to add more functionality. If you're a fan of Picture Password on BlackBerry 10, you'll be pleased to know it has made its way to the Priv as well. Not familiar with Picture Password? Well Picture Password allows you to unlock your Priv by placing a finger anywhere on the screen and sliding a pre-selected digit in a moveable number grid over top a pre-selected location within a stationary picture. Because the number grid always shows up in a different pattern, your swipe path is always different and can't be deduced from examining smudge patterns or by looking over your shoulder. Yet Picture Password is incredibly easy to use and can't be inadvertently lost or stolen. The last and most important way BlackBerry has secured Priv is through the use of BES12. There's a number of supported BES12 activation profiles for Priv, which include Android for Work, Secure Work Space, and MDM controls. When attached to BES12, Priv supports BlackBerry Integrity Detection, which continually monitors for events or configuration changes that could indicate that the security of the device is compromised. BES12 integrates with BlackBerry Integrity Detection to take action, such as generating an alert, quarantining the device from accessing work resources, or wiping the device, if a potential compromise is detected. While this is an expanded look at how BlackBerry has addressed security and privacy on Priv, you can check out the full list of BlackBerry integrated features right here in a nice, short list that's easier to dig through. Being a BlackBerry Passport user since the initial launch of that device, I have been rather spoiled when it comes to battery life. Keeping this review honest, I was rather worried about jumping to the Priv despite knowing it packs an impressive 3410mAh battery in its small body. As it turns out, though, my worries were rather unfounded. The battery life on the Priv, while not exactly as great as the battery life on my Passport, still manages to get me through my day with relative ease, even through what I would personally consider some intense use. Sure, I was rushing to the charger in the evening on those intense days but by that point it wasn't a big deal as my day was over anyway. My battery dying while laying in bed reading about the Kardashians on TMZ is the least of my worries. Plus, one has to consider the Priv comes loaded up with Quick Charge 2.0 which theoretically can take your device from zero percent battery life to sixty percent battery life within thirty minutes. I say this jokingly, but there are times you might actually want to charge your Priv just for the fun of it. In case you missed it in earlier leaks, the edge screen on the Priv is also called the battery edge. Why? Because when you charge the Priv it lights up the edge with an indicator of how much charge is in the device and how much longer it has to go until it is fully charged. It's a pretty neat use of the edge though I've yet to find it really useful. The best camera BlackBerry has ever built. For many years now I've had issues with the camera quality on BlackBerry smartphones. My biggest issue was that BlackBerry never really seemed to care all that much about the cameras and never wanted to go above and beyond in that area. They always stopped at 'good enough' and never ventured any further. On top of that, there was always a level of inconsistency when it came to updating the OS on your device. Some OS updates had great camera software while the next OS could pretty much trash whatever good was done in the previous OS. It all just seemed weird that it could change so much with a simple update. Now that the switch has been made to Android, I've been hoping to see some improvement in regards to the quality of the camera and the consistency of the camera software. Thus far, using the Priv camera has been pretty great. The 18MP Schneider-Kreuznach hasn't blown my mind, but it certainly produces better images than those put out by the BlackBerry Passport that's for sure and this time around it seems as though that extra love was given to the Priv camera. The BlackBerry built camera app offers a wide array of built in features such as quick access to advanced settings like the flash, aspect ratio, and HDR, and you can slide your fingers apart or together on the screen to zoom in. Another nice addition is the ability to slide left or right anywhere on the viewfinder to quickly adjust the exposure to ensure the best shot possible. Plus, BlackBerry has included live filters which allow you to see how a filter will look even before you capture the photo. One quick tap on the shutter button will, of course, take one photo but if you hold the shutter button down, you're instantly dumped into burst mode and the camera will continue to take photos at five frames per second. The Optical Image Stabilization helps when hands are shaky and tapping on the screen allows you to better focus in on your subject. If selfies are your thing, you can make use of the selfie panorama option to take a wider shot, but straight to the point here, the 2MP front-facing camera is nothing to rave about. If you're coming from a BlackBerry 10 smartphone such as the Passport, you can pretty much expect the same level of quality. One last section to wrap this up and that's video. The Priv offers up the most extensive amount of video options out of all BlackBerry devices produced and with that in mind, video on the Priv is pretty great. Here's a list of the video resolution and frame rates you can shoot in. All in all, I feel this is the camera quality that BlackBerry should have been producing for years, but we're only getting it now. That's not to say it's perfect either. I did find that processing HDR photos was pretty slow and if you're using live filters you're more likely to experience a wait time as well. But, the camera on the Priv produces some great images even when conditions are less than ideal, which is a marked improvement over anything before it from BlackBerry where less than ideal conditions basically meant you're taking a shot in the dark when it came to the quality output. Some sample shots have been included in the gallery. For years now, many folks have been stating that BlackBerry should release an Android smartphone. Now that they have done just that, there has been a lot of excitement surrounding the Priv. I think it's fair to say BlackBerry has caught the attention of many people with Priv. The interesting side of this is the fact that physical keyboards have always had a role in the Android world. Some of the first Android prototypes were created to look similar to BlackBerry smartphones of days long past and in my mind, it was pretty much fate for BlackBerry to build an Android-powered smartphone after so many others failed miserably. While we could debate the reasons it took so long for many hours, I think if BlackBerry would have tried this sooner we would be adding them to the list of failed physical keyboard offerings. It just so happens they never rolled with the idea sooner, and now there is an underserved market for physical keyboards in the Android world. Plus, Android has grown exponentially into a robust OS offering that leads the way when you look at market share. Right now is the perfect time for BlackBerry to do this simply based on the current Android landscape. They're all black slab devices and the Priv brings something entirely new to the table and this time around, it's not some underpowered sub-par device that people will buy and end up frustrated with after a few days. Priv is a flagship handset with top-of-the-line specs including stand-out battery life, a fantastic camera, and BlackBerry's legendary keyboard that will appeal to not only longtime BlackBerry fans but those looking for something new in their handsets. BlackBerry has also adopted a smart plan to appeal to the already existing Android user base. They're not looking to mess with what is already great about Android, in fact, very far from it. BlackBerry is instead focusing on security, privacy and productivity and has no intention of experimenting heavily with the native Android theme unless it is to improve upon those aspects. It's a very smart approach and when you couple it with how they are planning on rolling out updates and security patches, it's a solid game plan built around a solid, stand-out device. Should you buy it? Absolutely. If you would have asked me two years ago if I could foresee recommending folks go out and buy a BlackBerry powered by Android, I pretty surely would have said that would never happen. However, after using the Priv throughout this review period, I have no qualms about giving that recommendation now. If you think the Priv is an experience you should have, then by all means you should go ahead and give it a go. It's a solid device that brings a lot together in a pretty compelling package and with the added BlackBerry security and productivity touches you can now have a fun device that also knows when it's time to take things seriously and get down to business. I realize a lot of folks might be put off by the $699 USD price tag, for any number of reasons, with the number one reason being there are comparable devices out there at lower price points, but that's just it. Those other devices are comparable, but they're not the exact same experience that BlackBerry is offering by way of the Priv. The Priv experience stands alone, and BlackBerry is right to ask what they're asking for the Priv. A closing word here. Over the next few weeks, we'll be digging into the Priv a lot more to with plenty of help and how-to content plus plenty of deeper dives into what makes the Priv such a great device. To be perfectly honest, this review only scratches the surface of what everything the Priv is capable of so if you're still on the fence about picking up a Priv, you'll want to stay tuned for all of the upcoming content. What also has me excited is just how much fun my colleagues over at our sister site Android Central are having with the Priv. 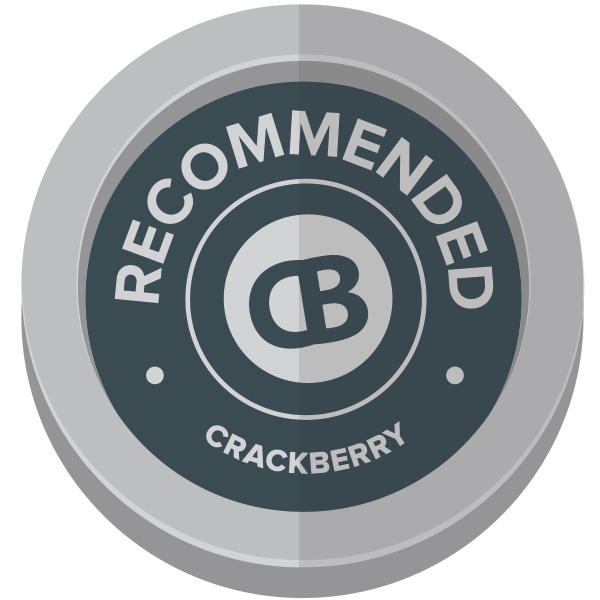 Now that you've read CrackBerry's review, you should read Android Central's BlackBerry Priv Review for the Android-expert perspective. Their verdict? They love it. Seriously, BlackBerry has new life with the Priv.